Ithaca is known for Cornell, crappy weather, and the gorges. Lu’au’s?? Not so much. Despite Ithaca being one of the most un-tropical places, every year there is, indeed, a lu’au. Every spring, the Cornell Hawai’i Club puts on a Lu’au. 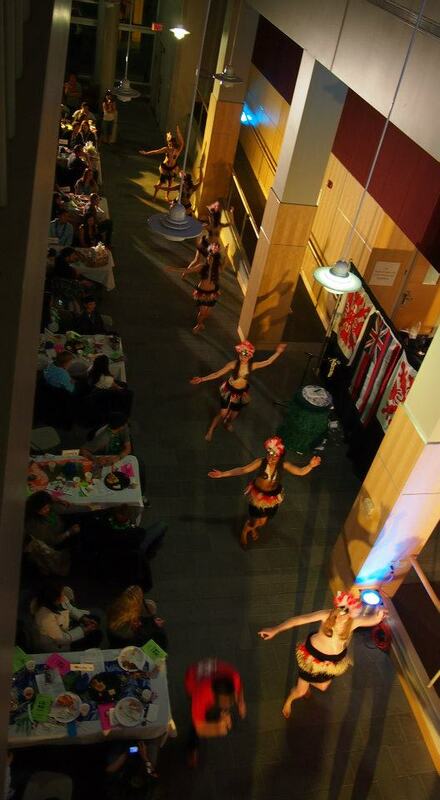 Complete with a buffet of Hawaiian food and hula dances, this lu’au is completely run by students. A lu’au is a festive gathering where, traditionally, pork cooked in an imu, or underground oven, is served. 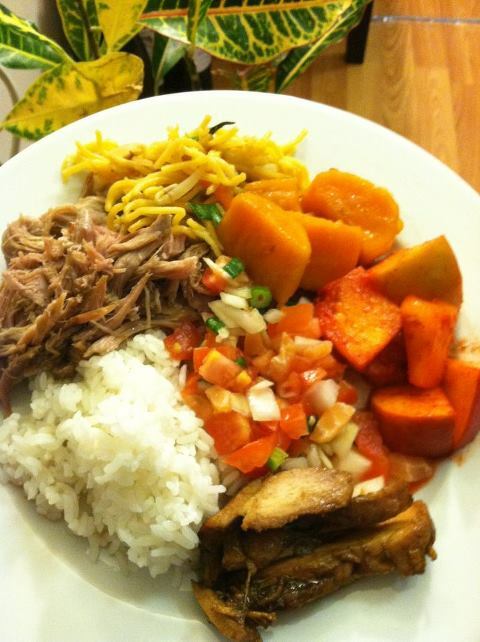 Although there was no underground oven, the lu’au served up up kalua (which means sherdded) pork, fried noodles, sweet potatoes, lomi salmon, lihing fruit, and rice. 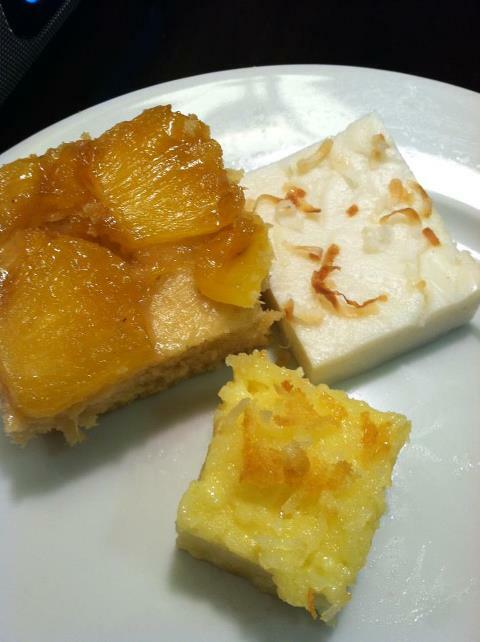 Dessert served up butter mochi (rice cake), pineapple upside-down cake, and haupia, which is a traditional coconut custard. dinner of Hawaiian foods mmm dessert! In addition to the buffet, lu’au also features a whole program of dances. The two types of hula are kahiko and ‘auana. Kahiko is the ancient style of hula that incorporates traditional mele, or songs, and ‘oli, or chants. ‘Auana is the modern style that can be accompanied with current songs, music, and costuming. 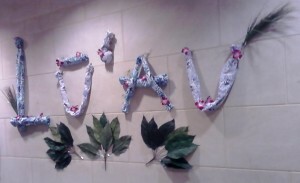 Another year, another Lu’au. Mahalo (thank you)!